Diane von Furstenberg may take inspiration from the '70s, but the collections still feel really fresh. This cotton 'Jeri' shirt dress crosses over at the waist to flatter your frame. 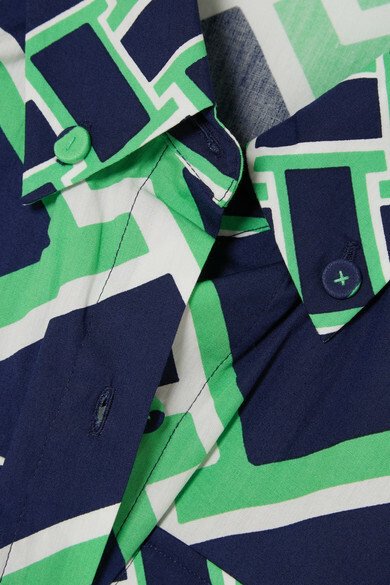 Everything from the covered buttons to the stitching matches the graphic navy, mint and white print. Shown here with: Cult Gaia Tote, The Row Sandals.